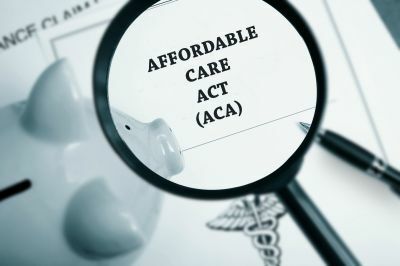 Navigating the legislation behind the new Affordable Care Act can be a confusing process. Due to the complexity of employee tracking and ever changing benchmarks, employers need to be prepared for an audit of their employee time entries. Having a secure, accurate time & attendance system in place is step one in guaranteeing that you will be prepared for an audit, in addition to the added benefit of on-the-fly monitoring of your staff to remain ACA compliant. Remember that the ACA legislation applies solely to employers with over 50 employees. However, we believe that tracking these metrics and storing the historical time entry data is a good practice for all. It’s also important to note that the Affordable Care Act is a fairly new program and requirements for reporting are still quite fluid. You can never be too prepared for an audit. Here are some key metrics that an automated time and attendance system can assist you with and any good automated system should be able to pull this information in real time. In addition, you should request these reports configured with the implementation of your system. If you are already capturing your time and attendance in an automated system but do not know if you can access this data, contact your provider. All of these key metrics are fairly standard and will tremendously help upper management understand how their workforce is performing and any time entry overages that can lead to penalties should be very clear. First up, you need to set up “Look Back” periods for your workforce in current month, 3 and 6 month increments. These reports should capture staff hours by employee showing over and under hours for presets. Presets will vary from state to state-and are set to thresholds for classifying workers as full or part time. ACA legislation looks for trends in your workforce and this report can help with a quick snapshot of your workforce behaviors. Affordable Care Act regulations mandate these look back time periods as a way to be fair and eliminate any anomalies with reporting. For example, you don’t want your employee classification to be based on the busiest work week of the year. Instead, the Federal Government looks at rolling “look back” chunks of time. Next piece of information to take a look at is “Approaching Overtime” reporting. This report shows employee time entered and clearly indicates who is approaching standard pay period full time presets for hour thresholds as well as overages. With a good automated system you should be able to set up supervisor-manager alerts for “max hours” limits. This will help you prevent workers from going over on hour allowances. If these are set in your system your scheduling software should also alert you when changes to a schedule place an employee in an hours over situation. Finally, to help tweak your employee resources, pull overtime analytics. In particular, “Overtime Hours” by employee by pay period, with associated costs. Also take a look at “Summary of Overtime” reports, which will help you to see overtime hours and extended costs by particular pay code. Last but not least, take a look at “Over Hours by Department”. These analytics will help you to see which departments are performing within the ACA guidelines and which are breaking threshold time entries. Another Affordable Care Act quick tip that comes along with automating your time and attendance is the ability to run “Staff Hire Date” reports and to set task reminders for employee “on-boarding”. This is a useful tool to remind you when an employee is approaching their now mandated by law health insurance benefit notification within the legal window of hire date time. Check with your state or region for the mandated time on this one-it can vary. Need help clearing up any questions you have regarding the ACA and compliance? Contact us here.